White 1600x800mm top per user. Silver goal post legs and intermediate legs. 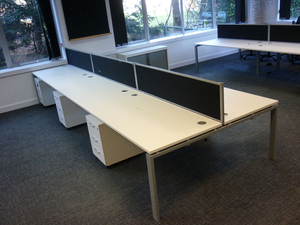 Good condition, good quality desks. Buy a starter bay of two and add more extensions of two users. Bigger block of desks equals more savings! GUIDE TO BENCH DESK PRICING. 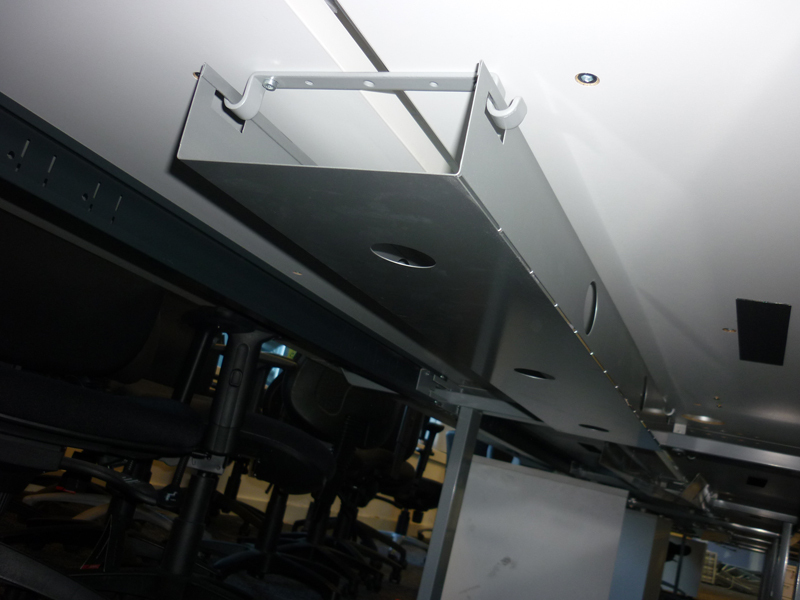 Starter bay = £200+VAT. Extension bay = £150+VAT. 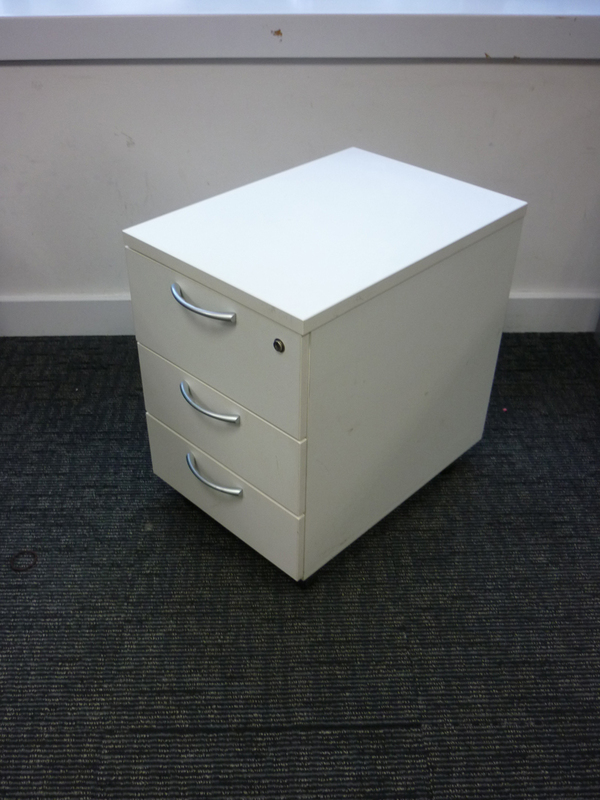 Optional white 3 drawer pedestals - £35+VAT each. Optional black screens with aluminium surrounds - £25+VAT each.